Susan M. McKeefry, age 63, of Green Bay, passed away Saturday, January 26, 2019 at her home. She was born September 22, 1955 in Green Bay, daughter of the late LaVerne and Arlene (Burmeister) McKeefry and was a graduate of Pulaski High School, Pulaski, WI, Class of 1973. After graduation, Susan enlisted in the US Army and proudly served her country from 1973 until her honorable discharge in 1977. She continued her education at NWTI and obtained her Associate's Degree to become a surgical technician. Her years working as a surgical technician at St. Vincent were some of her happiest years, as she truly enjoyed caring for others. She also worked as a CNA and other various jobs at health care facilites in the Green Bay area. Susan loved sewing, going to rummage sales and thrift stores and was an avid Packer fan. 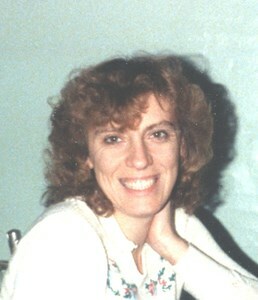 Susan is survived by and will be deeply missed by her 3 children: Monique (Michael) Curry, of Kiel, Christel (Bradley) Krause, of Green Bay and Christopher Littleberry, of Green Bay; 5 grandchildren: August, Adler and Isla Curry and Ana and Lucas Littleberry and 6 siblings: Dennis McKeefry, Roy (Linda) McKeefry, Randy (Cathy) McKeefry, Gary (Suzy) McKeefry, Tina (Erik) Gustafson and Glen McKeefry. She is further survived by numerous nieces, nephews, other relatives and friends. She was preceded in death by her parents, a grandson, Marcus Littleberry and a nephew, Dwayne McKeefry. Private services will be held by Susan's family at a later date. Add your memories to the guest book of Susan McKeefry. My sincere condolences to the entire McKeefry family, Tina and Eric you made a difference! God bless.